Steal away...why don't you steal away...in this plus size prisoner costume! The entire costume is made of polyester and features horizontal black and white stripes. The pants have an elastic waistband. The shirt has a patch with your screenprinted inmate number and ties behind the neck. The pillbox-style hat sits comfortably on your head. 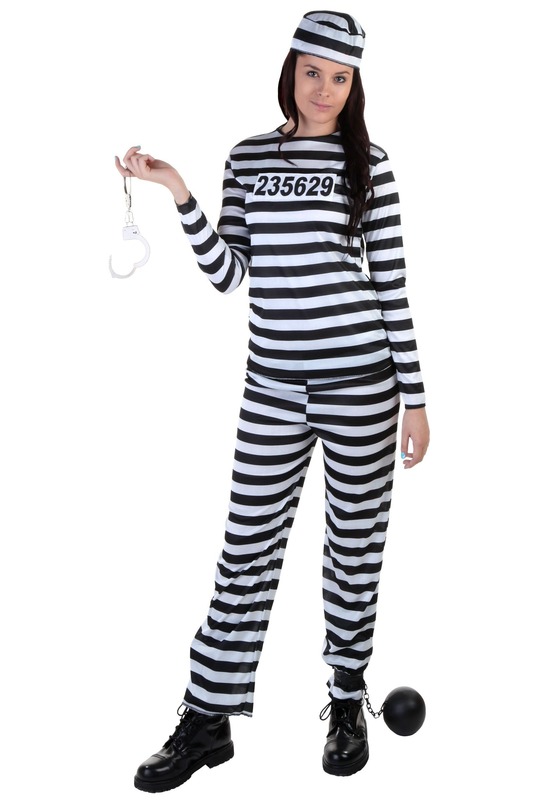 Escape from prison and head straight to the party in this womens plus size prisoner costume!